I see what you mean about aa. Does that make his the ultimate tie replica? What flaws does it have not to be? As said, the faceplate alone looks nice for a Tie. Also as it is a herofaceplate. But i never said the overall helmet is the ultimate replica. As VITC said.... that's not the best helmet as he really missed a lot of details. We all know AA has done some very controversial things, and if he didn't say/do some things he said/done, he would have been a very respected member of the prop community. He wanted more (and too much), not understanding that what he already did back then for SW was enough to put him among the good prop makers, and with the help of the prop community his status would be of a genuine star. But we all know what happened alas... Anyway I own his TIE Pilot bust and is very nice, not 100% accurate as many have said already, but still a very impressive piece. Wanted long ago to try to improve on it, but then decided to let it as it is, and go for Laws and RS TIE Pilots too. Wanted long ago to try to improve on it, but then decided to let it as it is, and go for Laws and RS TIE Pilots too. Which version you have chosen? I have the striped TIE from Laws for now. Did Laws ever start fabricating his helmets from ABS? That was the primary reason I sold mine off years ago. I didn't care for his using styrene sheet. Everything I have from him is ABS. There is one'tell" from the screen used helmet that I can only find on the AA helmet..every other one is missing it. 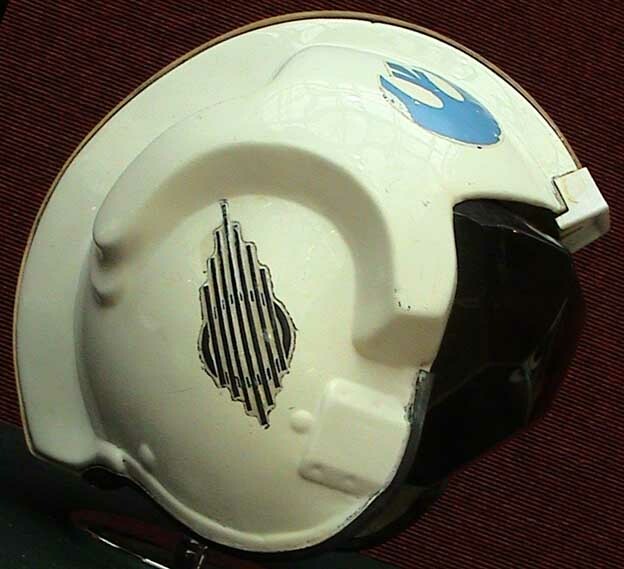 If so it is on the RS helmet as the helmet they got a casting of had it on it. I think i can't follow you, do you may have a pic of that detail? RS helmets and armous seem to be get finished now and be shipped next Monday. It is definitely on the donor helmet they used. I can also see it on their (painted white ABS) prototype as you can see in their photo below. They made the painted one before their black ABS arrived from their supplier. I don't have one of their black ABS helmets yet so cannot say for sure if it is there or not but I would think it should be. The sharpness of that detail might require special attention during forming to capture it. To be honest the chip / dent varies in sharpness from screen helmet to screen helmet both rebel and TIE. It is softer on the SDS helmets compared to screen as well. 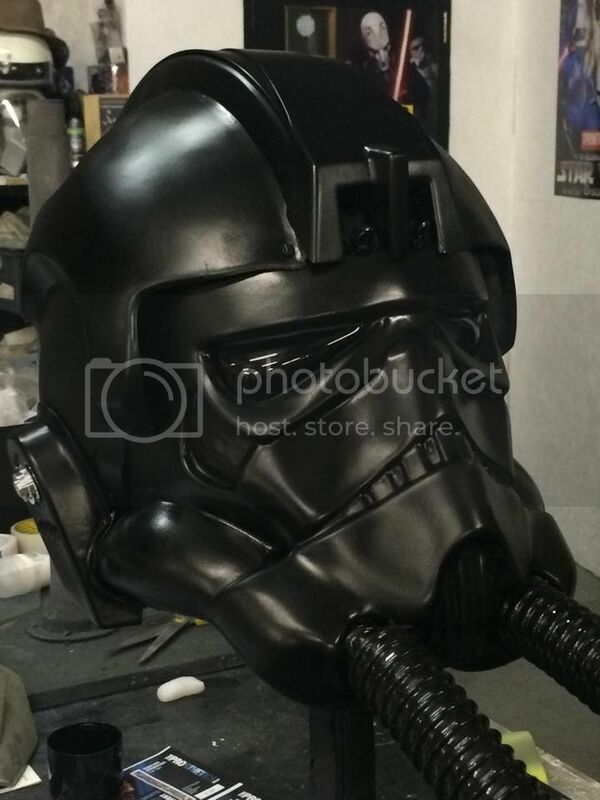 Although because of the colour of the rebel helmets it looks much more prominent in the picture I posted. The fact that it may be softer on the RS helmet isn't a big deal to me it just shows that it has remnants of that feature and a link back to a screen helmet. If I was RS I would leave it as it is and not muck about with it - it is what it is - a very nice TIE helmet with good lineage.